ENTRY FEE: All players will pay $150. There is no additional championship fee. ELIGIBILITY: Players must have reached their 55th birthday by November 12, 2018, and have a numeric handicap index of 7.4 or less on their club’s Master Report at the time of registration. Eligible players may attempt to qualify for both the California Amateur and California Senior Amateur Championships. 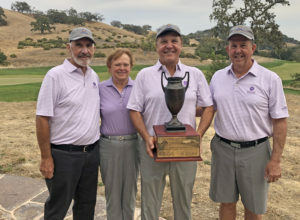 ONLY ONE ENTRY FOR THE SAME EVENT MAY BE FILED PER PLAYER, even if the player belongs to clubs in both Northern California and Southern California. FORMAT: Qualifying – 18 holes. 90 players, including exempts, will advance to the championship proper. Championship – 54 holes of stroke play (18 holes per day). After 36 holes are completed, the field is cut to the low 33 players and ties for the final 18 holes. 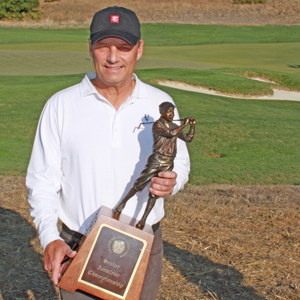 EXEMPTIONS: California Senior Amateur Championship Exemptions. REFUND POLICY: Refund less $10.00 processing fee if requested prior to closing date. 50% refund after the closing date and 48 hours prior to the event. No refunds will be honored within 48 hours of the event.